What is stress? Stress can come from any situation that makes you frustrated, angry and/or anxious. Stress is very individual. What is stressful to one person is not always stressful to another. Certain amounts of stress are normal. It can be good – it can motivate you and help you be more productive. However, it can cause poor general health, as well as certain illnesses like infection, heart disease and depression. It can also lead to unhealthy behaviors, such as drug and alcohol abuse. Some causes of stress are: drugs (both recreational and medicinal), a poor diet, a traumatic event and too much anxiety. The most effective solution is to find and address the source of your stress. Ask yourself these questions: 1) what do you worry about the most? 2) is something constantly on your mind? And 3) does anything in particular make you sad, depressed or anxious? Take the answer to these questions and address the source. If you are worried about having too much work to do, create a to-do list and complete your tasks in manageable time frames, or delegate. Eat a well-balanced, healthy diet (foods for a good diet: almonds, apples, berries, broccoli, carrots, mushrooms, oats, olive oil, oranges, red grapes, fish, garlic, ginger, kale, lettuce, sweet potatoes, tea, tomatoes, whole wheat, and yogurt). Get enough sleep and exercise regularly (30-60 minutes a day, at least five days a week). Limit your caffeine and alcohol intake. Take breaks during work (at least ten minutes for every hour.) Finally, practice relaxation techniques such as guided imagery, muscle relaxation, yoga, tai chi, meditation, massage therapy and reiki. Guided imagery has been found to be very effective for the treatment of stress. Imagery is at the center of relaxation techniques designed to release chemicals that act as natural brain tranquilizers, lowering blood pressure, heart rate and anxiety levels. A study at Yale found that depression patients were helped by imagining themselves being complimented by people they admired. Images aren't necessarily limited to visual sensations, but can also be sounds, tastes, smells and a combination of the senses. People visualize a goal they want to achieve (less stress, less pain, etc), then imagine themselves going through the necessary steps to achieve that goal. 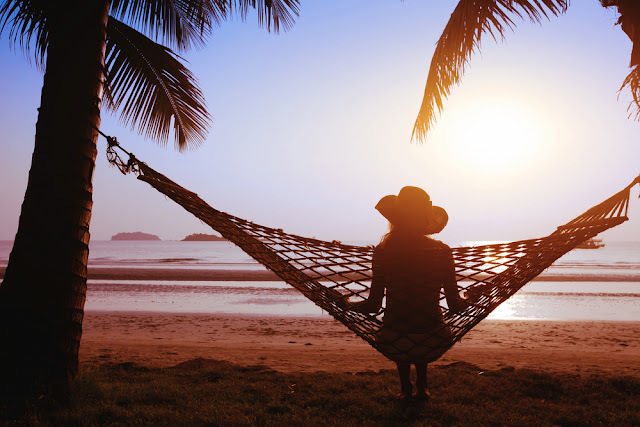 Progressive muscle relaxation works by tensing, then relaxing all the muscles one system at a time (head, then arms, then chest, down to the feet.) By tensing and relaxing all the muscle groups in your body, you reduce tension. Lower tension will make you feel less stressed, and you will enjoy increased health. The daily practice of yoga cultivates awareness within the body. It creates a balance between the body, feelings and thoughts. Tai chi is sometimes described as “meditation in motion.” It promotes serenity through gentle movements, by connecting the mind and body. It was originally developed in ancient China as a form of self-defense, but it has evolved into a form of exercise that's commonly used for stress reduction. During tai chi, you focus on your movement and breathing. This creates a state of relaxation. Stress should “melt away” as you focus, and the effects may last well beyond the session. Massage therapy affects the body as a whole, promoting a general sense of well-being. It treats the soft tissues (muscles, tendons, etc). It has been found to be beneficial towards stress relief, as well as having other benefits, such as: increased immune function, increased removal of toxins, increased rate of healing after injury, increased range of motion, decreased blood pressure, decreased levels of cortisol (a stress-inducing hormone), decreased inflammation and enhanced overall physical and mental health. Reiki is a Japanese technique for stress reduction and relaxation that also promotes healing. It consists of calm and concentrated touching, similar to massage, but without pressure. The practitioner focuses on healing and transferring energy to the receiver's body.